William Taylor took the photographs for, and wrote his first book (The Lotus Book) in 1998. This title quickly became known as "The Yellow Book" and is commonly regarded the 'Lotus Bible’. Revised in 1999, and then again in 2004, the Yellow Book has been out of print, but in demand for several years now, and, with so many new cars emerging from Hethel since 2004, William felt it was time for a long overdue update. But, this is no ordinary update of the earlier book, it is a completely new and redesigned book that follows the concept of the previous one (of course featuring every Lotus Type), but improves on the breed. If you thought William’s earlier book was good, this 312-page, large-format, 12x12-inch book features 208 cars and contains over 500 superb photographs, and truely is: The Ultimate book on all the Lotus Cars. 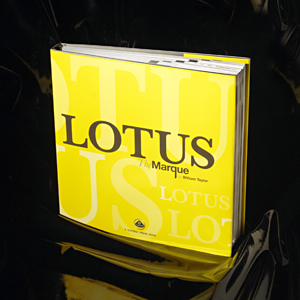 Working closely with Lotus Cars, a totally new book has been constructed. One that agains feature every Type Number and model of car produced by Lotus, from the Mark 1 in 1948, through to the 2013 Elise S Club Racer. Organised in an easy to read format, but now in chronological order rather than Type Number order, the book charts the development of the marque from 1948 to 2014. 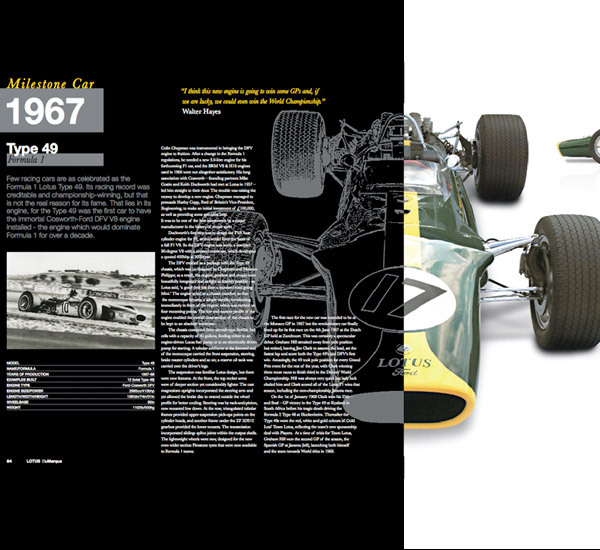 Coterie Press have worked with Lotus Cars, and the Lotus Cars Design Department, to completely re-design the layout of the book, one that offers a stylish and yet comprehensive, in depth look at every model of Lotus, decade by decade.